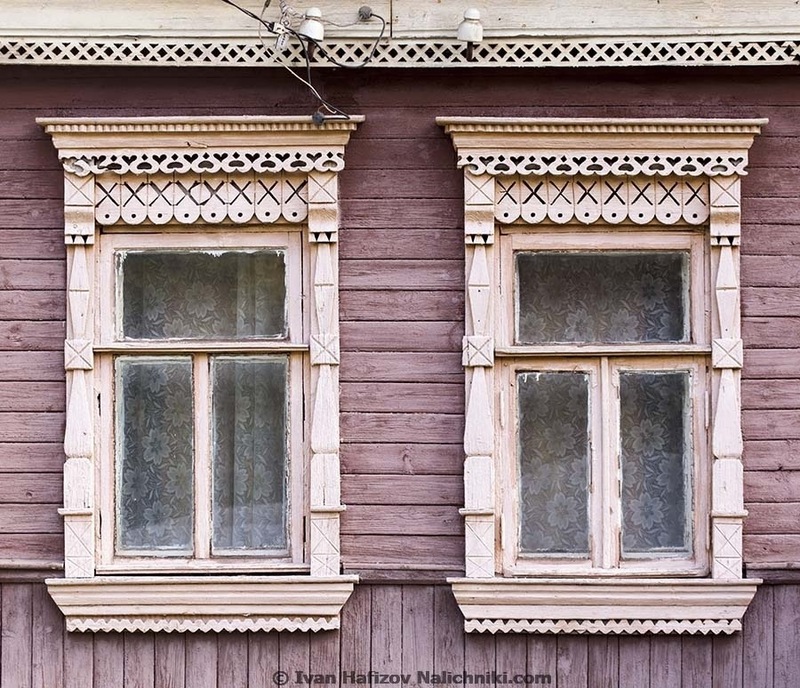 Pair of Nalichniki (ornate wooden windows frames) in Naro-Fominsk city. West, and especially south-west of Moscow region has just a few houses of more than 60 years old, and I did not expect I would see anything interesting. Yet, it was a pleasant surprise for me to know the town of Naro-Fominsk has them and they are well cared. I was much more pleased to notice some elements of local window frames are very recognizable. Which means the tradition of Naro-Fominsk window frames has survived the Great Patriotic War and still lasts.